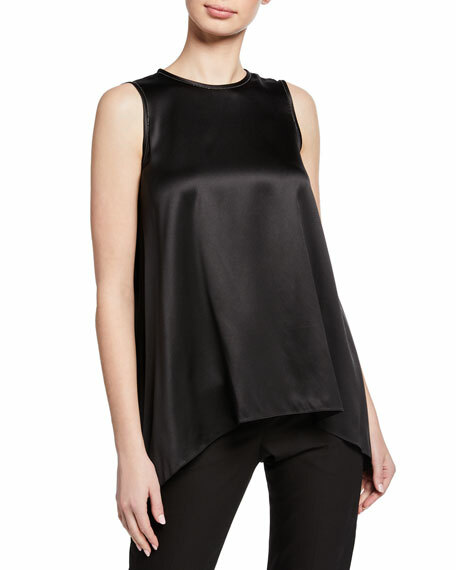 Brunello Cucinelli bias-cut tank in stretch silk, featuring monili trim. 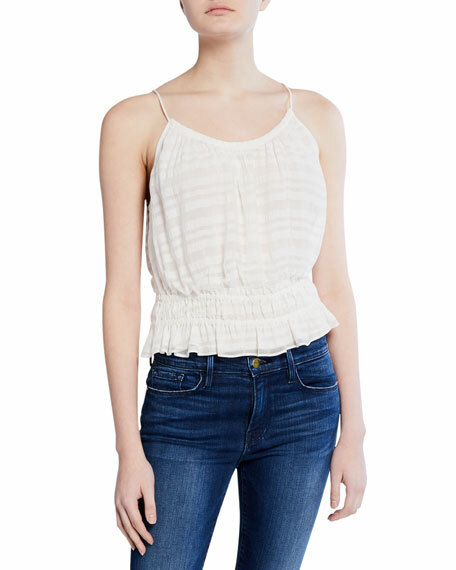 Crew neckline; keyhole back. Sleeveless. A-line sweep. Asymmetric hem. Silk/spandex. Made in Italy.